Due to the possibility of overdose, this product is not recommended to be dosed directly into the aquarium. 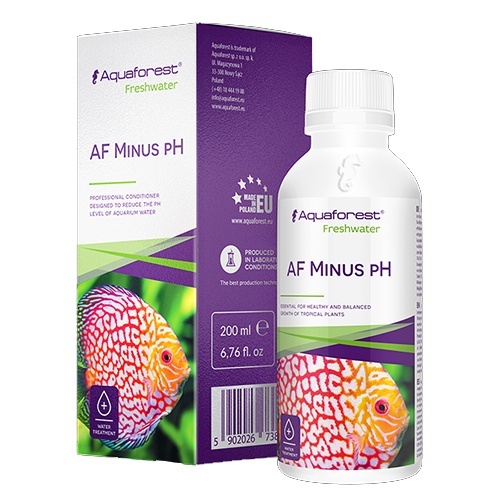 AF Minus pH should be prepared outside of the tank, in water destined to be changed. Before application, check pH level and only dispense product to the solution to reach the desired value. 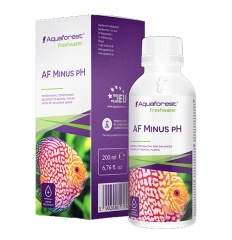 1 ml AF Minus pH lowers the pH value by 0.2 unit per 1 litre of water. Due to the high harmfulness of sudden changes of pH level, do not lower the pH of the water in the aquarium by more than 0.5 per day.